NAIROBI, Kenya, Nov 19 2018 (IPS) - That almost one in five Kenyan teenage girls is a mother represents not only a huge cost to the health sector, but also a betrayal of potential on a shocking scale. 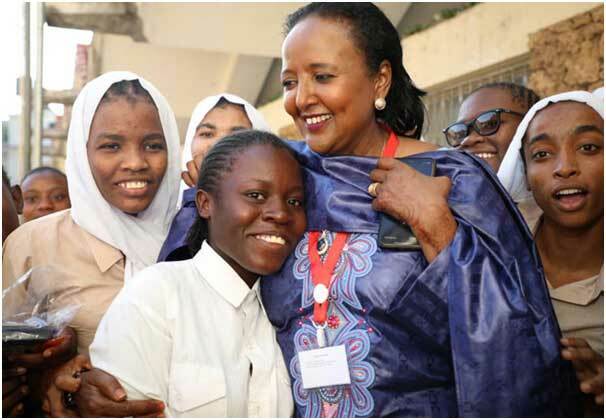 Kenya’s Education Cabinet Secretary, Amina Mohamed said that the country must confront this worrying trend. “We must have this conversation. We cannot bury our heads in the sand. It is happening to our children, our sisters, and even our young brothers. We will deal with it or it will not go away”. No doubt CS Mohamed has a tough job ahead. Numerous studies have documented the fact that a high number of teens are already sexually active. These young girls are part of the four in ten women in Kenya aged between 15 and 49 who have unintended pregnancies. There can be no illusions about what they need: accurate, up-to-date information and access to effective contraception. It is time to take a wholesome picture of the social and economic price society is paying when 15 percent of its teenage girls become pregnant. For virtually all of them – and statistics say majority are from poor families – it means an end to any dreams of coming out of poverty because they cannot continue with education. Complications during pregnancy are the second cause of death for 15 to 19-year-old girls, therefore it means their already poor families have additional health care costs to meet. Children born to such young mothers are more prone to physical and cognitive development. “The girl child in this country is under threat from all manner of vices, including early pregnancy and female genital mutilation and many other kinds of nonsense that affect our communities. These things have no basis for the development of our country” said the Deputy President of Kenya, William Ruto.